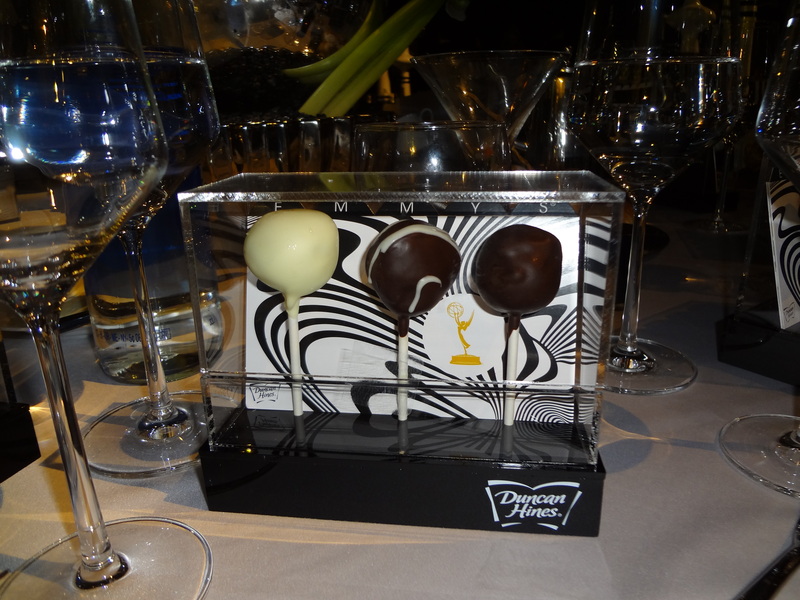 It’s been a long day and I want to show you a few more exclusive shots of the 2011 Primetime Emmys, but these are as the night was winding down at the Governor’s Ball. 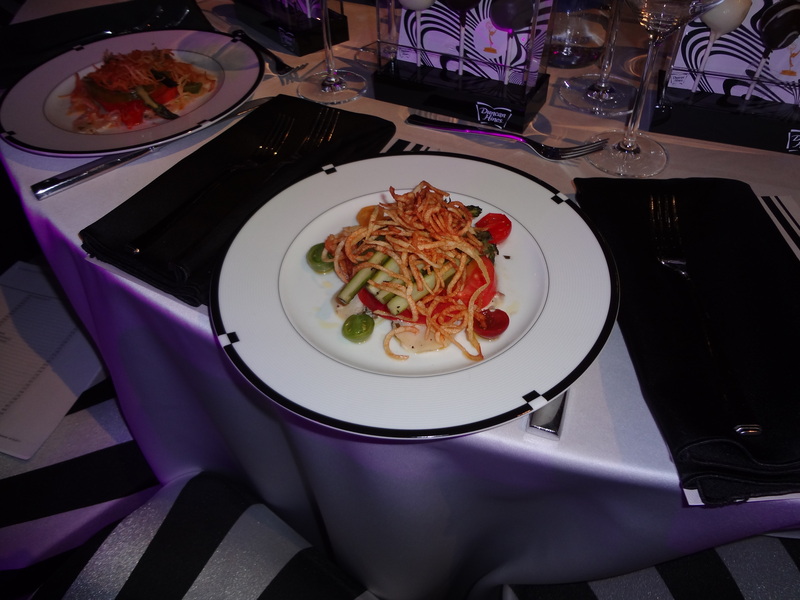 The theme this year was black and white. 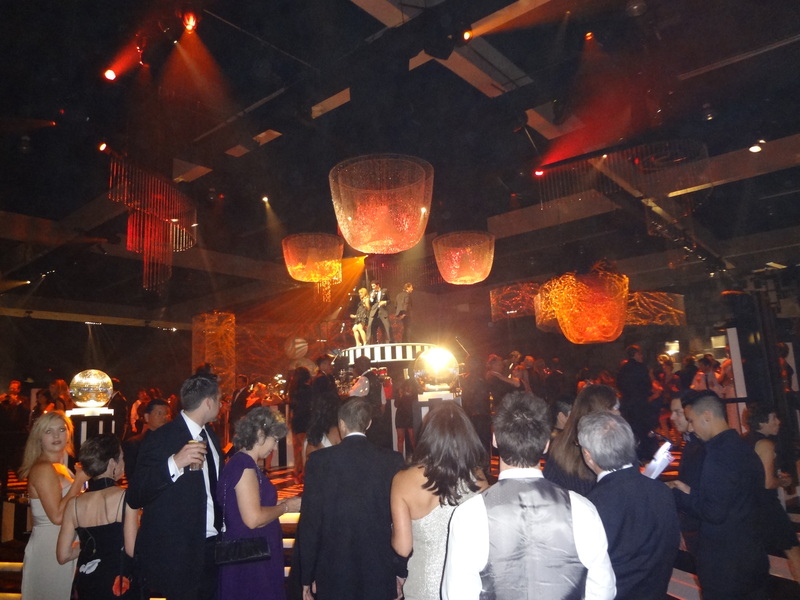 I felt as though I walked into a circus tent—an upscale circus tent. 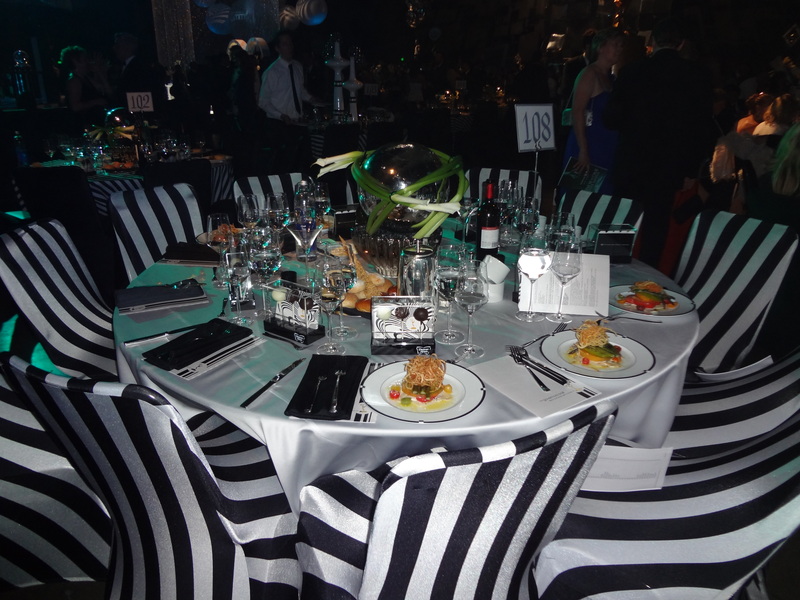 Each table had its own theme and decor, but they were all black and white. Some had stripes, other had circles. Some table tops were made of a mirror, while others were solid colors. 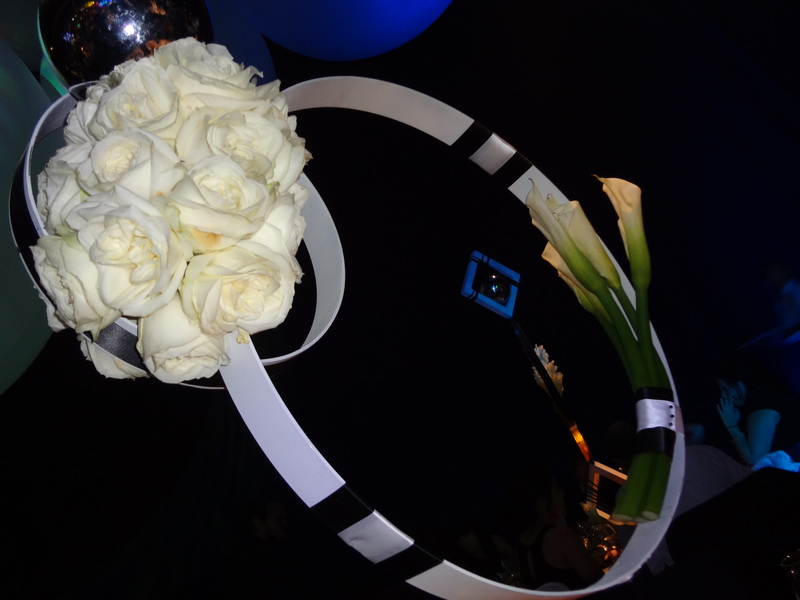 The center pieces were lily’s woven into the circular tabletop loops. 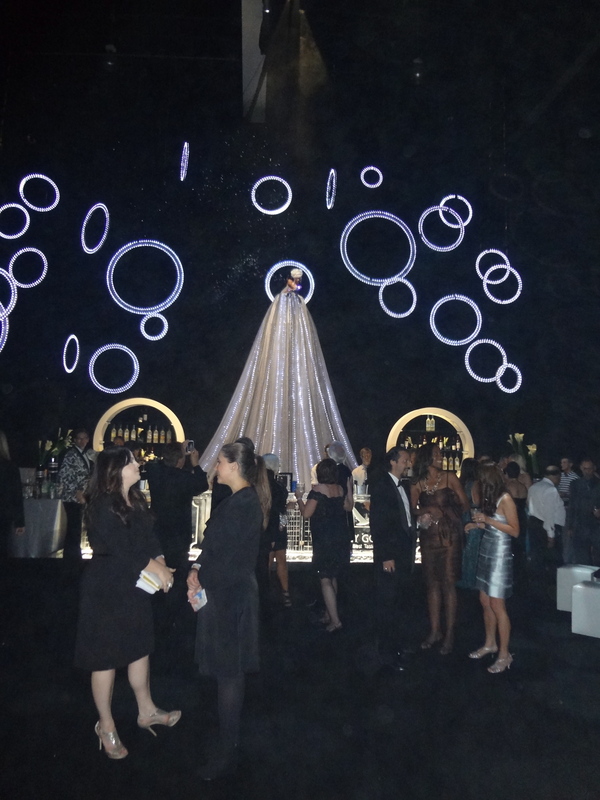 A 50-foot woman looked down on us from the ceiling, and the band played in the round, and round, and round they went as the guests danced on a circular dance floor – which was the center of the ball. On top of the circular stage and dance floor was the entertainment, very much like the top-tier of a three-tier wedding cake. It was all fascinating and completely over the top. 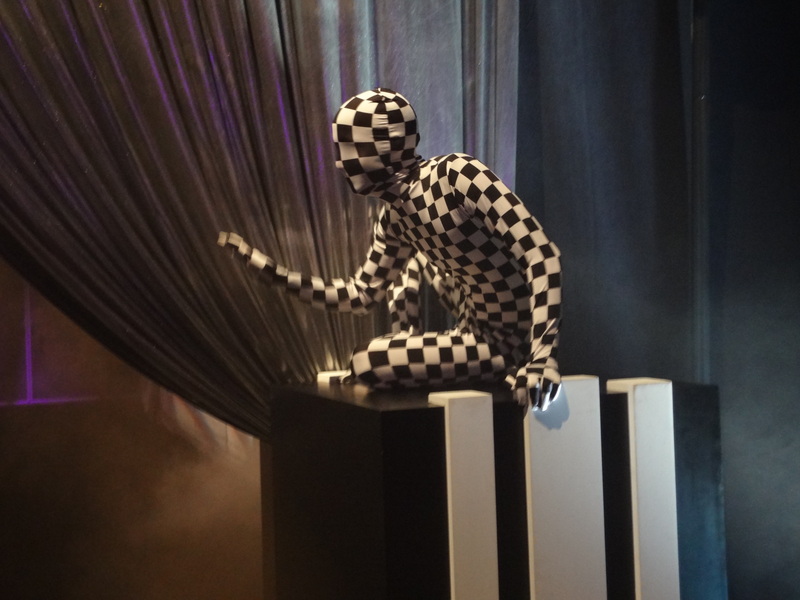 Mimes where staged all around, and there were tables filled with Emmys as their new owner displayed them proudly next to the filet mignon and mac & cheese that was baked in a (guess) – individual circular pan. Winner after winner filled the room, and the champagne and cocktails followed all night long. I was so tired at one point that I went to rest against the bar and I bounced back. 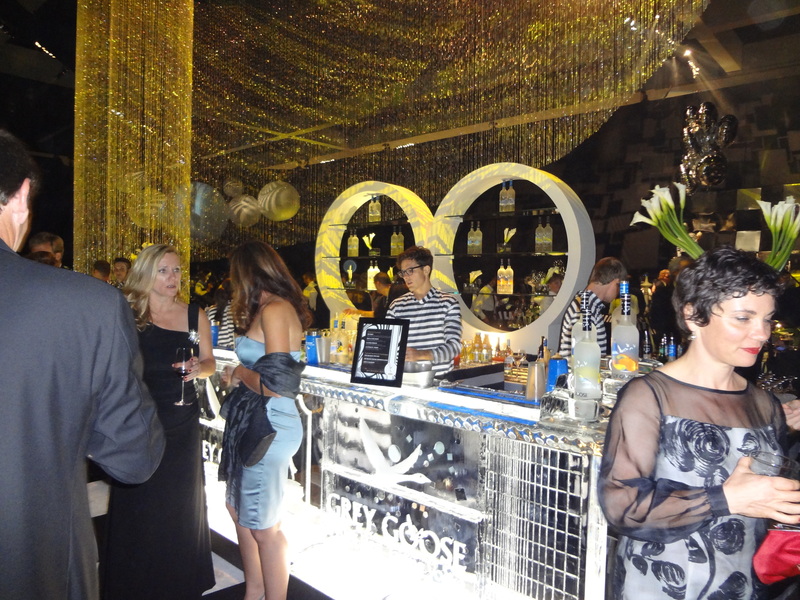 It was made of ice – an ice sculpture bar by Grey Goose. They were all over the place. There was no expense spared for this event. Everyone seemed to have a great time and felt privileged to be there. But as the crowd began to thin early on, I know the who’s who in Hollywood were heading out, not to go home, but stop by the next hot Emmy party tonight and do it all over again!